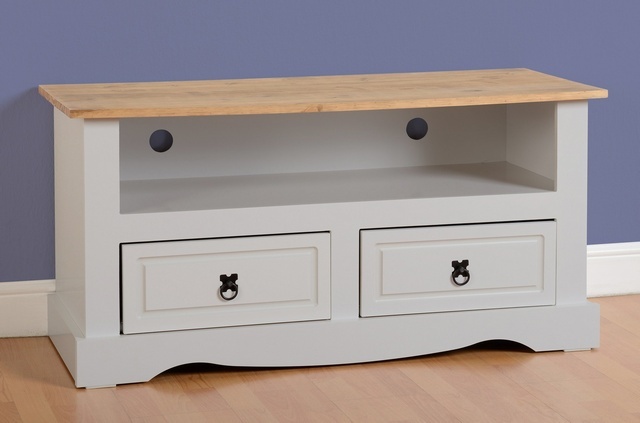 The Corona grey range is made from solid MDF with a grey finish and distressed waxed solid pine tops. It features black metal handles, hinges and decorative pins and also has metal drawer runners. Solid, sturdy construction for easy home assembly.